What do marble floor coverings and KING pedestals for raised floors have in common? 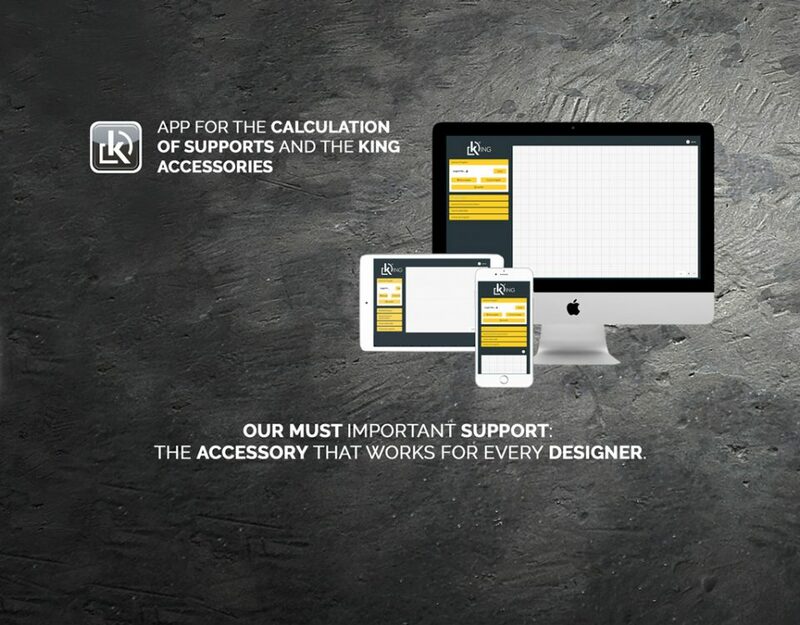 Solidity, durability, longevity. How are they matched together? 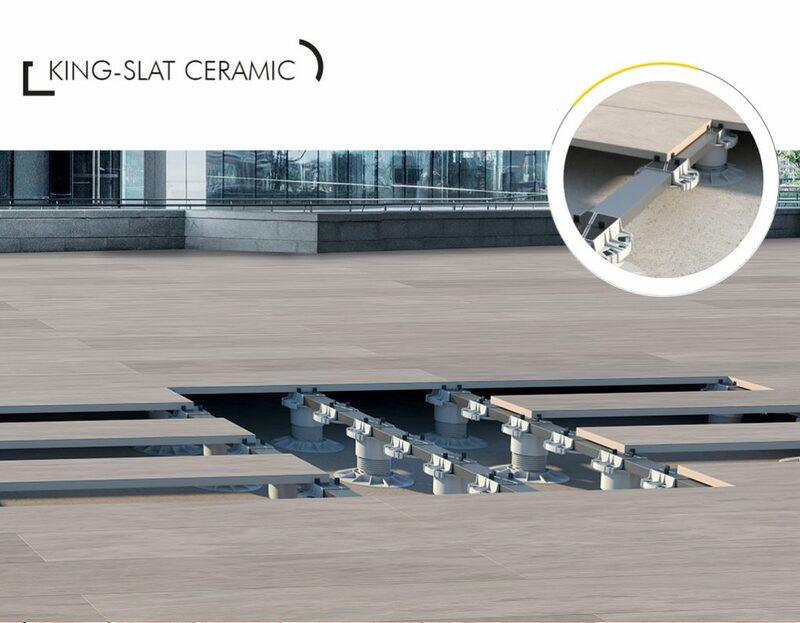 With the utmost versatility, which the technical features of KING offer the raised floor market with completely original, exclusive solutions, which are unrivalled in the panorama of commercially available supports. 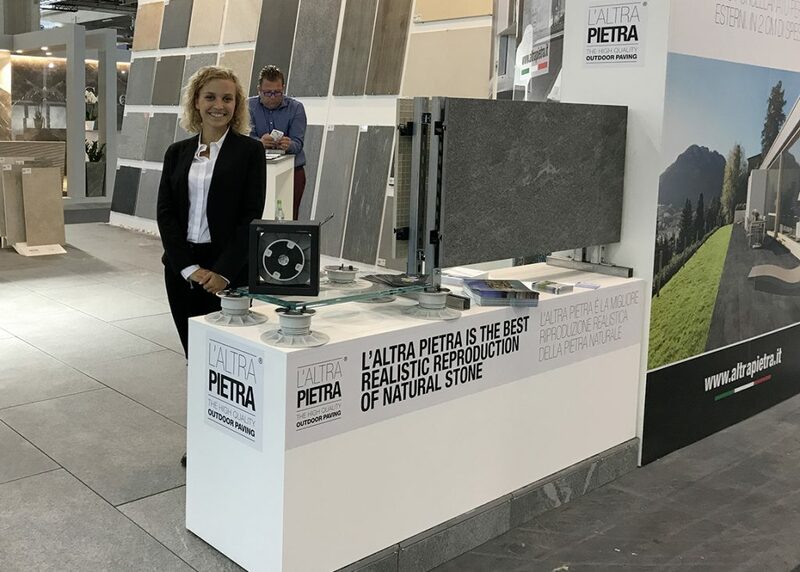 KING was presented at the Marmomac Exhibition in Verona last September gaining increasing favour from experts that went beyond all expectations. 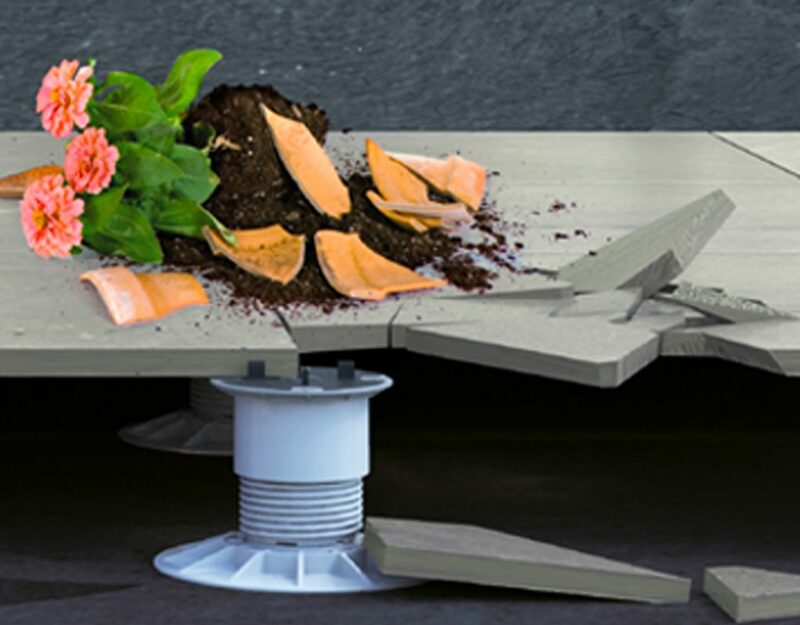 KING is the first pedestal for raised outdoor floors with a self-levelling base, the only one with the Converter system that allows you to switch from fixed to tilted positions, the only with flexible break-resistant rubber tabs and the only one with a 5 year guarantee. The KING® pedestal also has a bi-material head with a larger diameter compared to the standard bi-material head supports available on the market. The head produced in high-quality materials is covered with an exclusive black rubber that gives an elegant effect of invisibility of the support under the joints of the flooring. A load of uniqueness that is the bearer of sophisticated technology, freedom of design, innovative and original aesthetic solutions, extreme error-proof simplification in the installation, manoeuvrability and safety in the application phases, with unique features which make the resolution of every detail quick and effective. Marmomac was a fascinating setting for KING, rich in stimuli and encounters, with a widespread, international, demanding audience, attentive to design and innovation. Marmomac is, in fact, the exhibition that brings together the excellence of the marble, granite and natural stone sector, from the extraction, processing, to the sale of materials and finished products, which once again this year hosted over 1600 exhibitors from more than 50 different countries. At the Marmomac Exhibition KING came face to face with stimulating and varied demands and needs, proving the foresight of its design and the effectiveness of the proposed solutions. King is a unique pedestal, completely original and versatile, able to support any type of raised floor covering in the best way, impeccable in any situation.